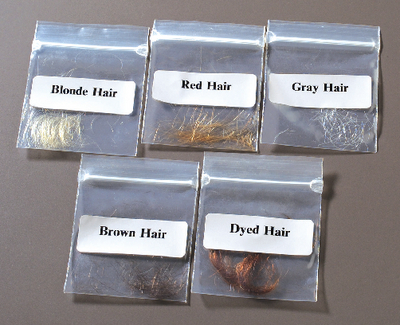 Use this set as an introduction the differences between hair types or use the hair as trace evidence when setting up your next crime scene. With the aid of a microscope, you can observe the physical variation in color, shape, and medulla patterns found within the included human hair samples. Includes natural samples of blonde, brown, gray, and red, as well as dyed hair.